Congratulations to our SFA Alumni! 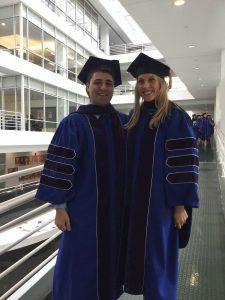 Continuing the tradition of producing outstanding law students and excellent attorneys, we are very proud of our Spector Foerst & Associates alumni Edward J. Scarillo (EJ) and Jillian Swogier. Both EJ and Jill graduated yesterday from Seton Hall University School of Law and will be sitting for the Bar Exam this summer. We congratulate them and all of the graduates of SHU Law -Class of 2017!